I was crossing my fingers and hoping to find cute pajamas. 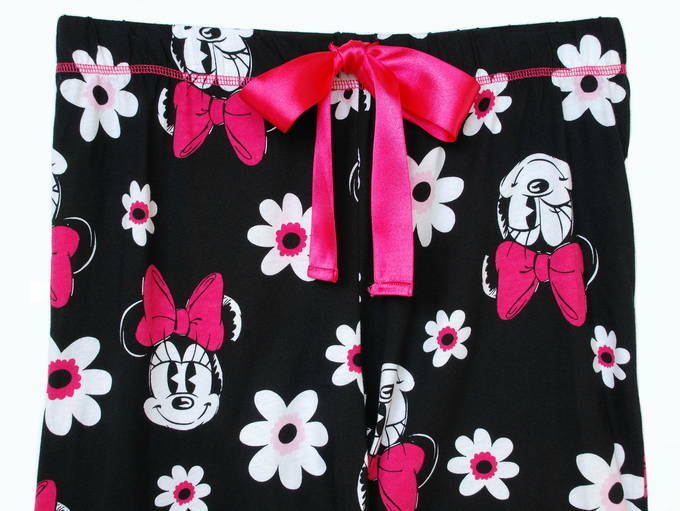 I found three Minnie Mouse sets to choose from – a hot pink, gray, and this black one. These pajamas are lightweight – perfect for spring. I stood there for a good 10 minutes trying to decide on my favorite. They are all equally adorable. 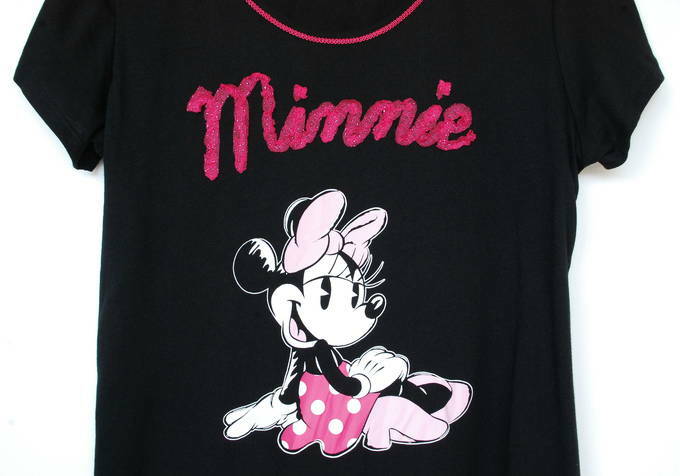 But Minnie’s cute smile on this one won me over. The pieces are sold individually so you could buy just the top or pants. The pants have an elastic waistband. The satin pink bow is for decoration. Pure comfort. I found several pairs of hot pink slippers. But I went with these faux fur ones with a covered toe. They also come in black and leopard. I think this outfit would be an awesome gift. It lets a woman have fun and look cute.